If you’re attending the wedding of a loved one, it’s so hard to find the perfect wedding gift, especially if the couple have opted not to have a traditional wedding list. It’s especially hard when you are trying to impress someone with a gift that has the right elements of being both special and unique for them to treasure forever. Which is why the people at the Book of Everyone have created the ideal wedding present, the Wedding Book of Everyone, as it allows you to create a memorable yet unique gift for the couple. So what is The Book of Everyone? 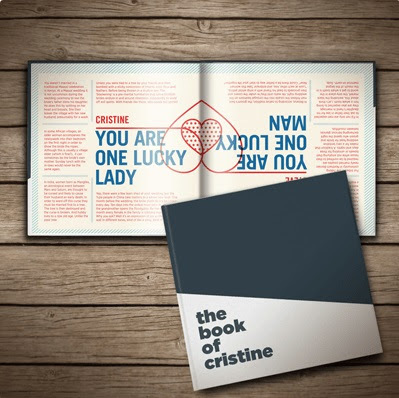 It’s a personalised book that you create online featuring some of the world’s best copywriters, designers and illustrators full of facts, trivia and wonderful illustrations. The Wedding Book of Everyone celebrates the bride and grooms two lives coming together as one. Half the book is dedicated to the Bride and the other to the Groom. You simply enter the couples name, their wedding date and date of birth and then watch as the online generator smartly creates each page of the book. You can personalise further with your own photos and comments and make other amendments like changing the images or colours to each page. Once the book has been generated, you’re given the option to choose on delivery date, make the payment and wait until the book has been delivered. I didn’t have to wait long for the book to be delivered. It was dispatched a few days after I placed my order and I received a couple of days later. Considering the book is printed to order, delivery was quick, so I was impressed. The Book of Everyone Wedding Edition offers two luxury options, in either a boxed hardback £44.50 or a boxed deluxe £64.50. The book is fantastic quality and looks very smart – it is presented in a gorgeous soft-touch laminated box and available in hardback or deluxe finishes. Personalised gifts are always a good choice for someone who is tricky to buy for. 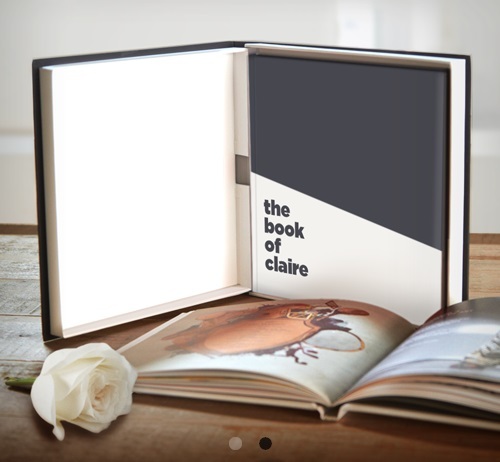 And the Book of Everyone Wedding Edition is the ideal present, so unique yet personal, it’s a gift for couples to enjoy for years to come. Check out the website and have a gander for yourself!